John Amos is an African-American actor and former professional football player. He is best recognized for his starring roles in the sitcom Good Times and the highly acclaimed miniseries Roots. Through various stints in different fields, Amos has earned himself a good reputation. Read on to explore facts about the actor. John A. Amos, Jr. was born in Newark, New Jersey, on December 27, 1939. He is the son of Annabelle P. Amos, and John Amos Sr. (an auto mechanic). He grew up in New Jersey and attended East Orange High School where he graduated from in 1958 and then went on to study at Long Beach City College but later switched to Colorado State University, and graduated with a degree in sociology. Growing up, Amos was quite athletic and nurtured dreams of becoming a football star someday. He played football both in high school and college and after graduation, became a professional athlete with the NFL. He first played with the Denver Broncos in 1964, and then the Kansas City Chiefs. He was, however, later sidelined and released from the team due to injuries. Though he continued playing football on the side for some American and Canadian teams, Amos got himself a job as a social worker at the Vera Institute of Justice in New York. Prior to his acting career, Amos also worked as an ad agency copywriter, performed stand-up comedy in Vancouver and Greenwich Village circuit, and worked on a musical variety show, The Leslie Uggams Show. Amos kicked off his acting career in 1970 playing Gordy Howard the weatherman, in the series The Mary Tyler Moore Show. The next year, he made his stage debut in the comedy Norman Is That You? which earned him a Los Angeles Drama Critics nomination for Best Actor. In 1972, he featured in the Broadway drama Tough to Get Help. He also played the role of James Evans in the hit sitcom Maude. Amos’ breakthrough came with his role as the temperamental patriarch on Norman Lear’s iconic 1974 sitcom Good Times. But after three seasons, Amos left the hit series following major conflicts with the producers. Amos’ next role came in 1977 with the highly-acclaimed miniseries Roots, where he played the adult Kunta Kinte. The epic series which chronicled the life of a young African man and his struggles from slavery to freedom was based on the Alex Haley novel, Roots: The Saga of an American Family. 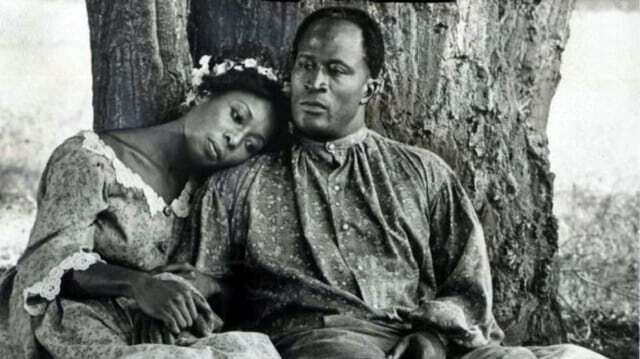 Roots was such a huge success that it broke viewership records and earned Amos a Primetime Emmy nomination. He has other film credits such as Alcatraz: The Whole Shocking Story (1980), American Flyers (1985), Lock Up (1989), and Die Hard 2 (1990). Some of Amos’ noteworthy performances both on the small and big screens include, his role as Cleo McDowell in the 1988 comedy hit Coming To America, a guest appearance as Fred Wilkes on The Fresh Prince of Bel-Air (1994 – 1995), and as Admiral Percy Fitzwallace in the political drama The West Wing (1999-2006). In 1994, he was cast in another Normal Lear show as a Vietnam war veteran Ernie Cumberbatch in the short-lived sitcom 704 Hauser. Amos’ recurring role on the sitcom In the House earned him a nomination in 1996 for the NAACP Image Award for Outstanding Supporting Actor in a Comedy Series. Some of his works in the 2000s include playing the character Mayor Ethan Baker in the crime drama, The District (2000), the pilot Buzz in Men in Trees (2006 – 2008), and a recurring role as Ed Bishop on the Netflix series, The Ranch (2016). 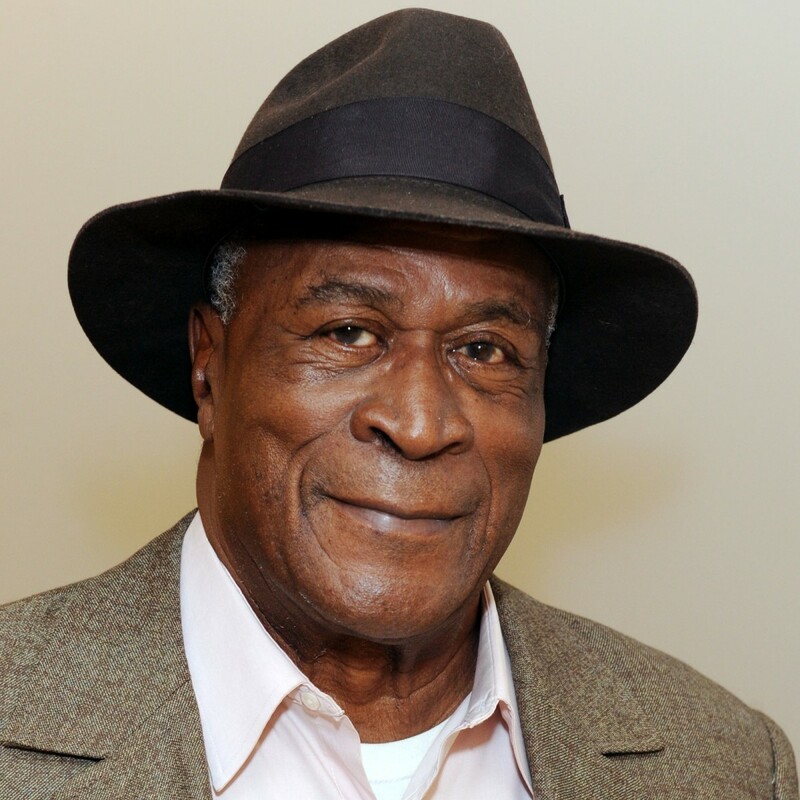 With a career in the entertainment industry spanning over four decades, John Amos has earned himself a good amount of fortune. Though he first had a career as a football player, most of Amos’ revenue is from his versatile acting roles on the small and big screens. John Amos has a current net worth estimated at $3 million. Who Is The Wife, Is He Gay? Though there have been speculations questioning actor John Amos’ sexuality, his dating and relationship history shows he is straight until proven otherwise. Amos was previously married to Noel J. Mickelson but the marriage lasted for ten years (from 1965 – 1975). The union produced two children, a daughter Shannon and a son KC. In 1978, he married actress Lillian Lehman but it also ended in a divorce after one year. John Amos has been a victim of an online death hoax. In 2016, a fake news emerged claiming that the actor had died of a heart attack. However, the viral fake news was refuted by both Amos and his manager, confirming that he is still very much alive and well.